The Birr Chapter was established in 1994. In 2015, the Chapter extended its geographical reach and is now known as the Birr/Midlands Chapter. The Committee, consisting of 15 members, meets once a month. Reports are submitted to Irish Georgian Society HQ. The annual meeting takes place in November of each year. 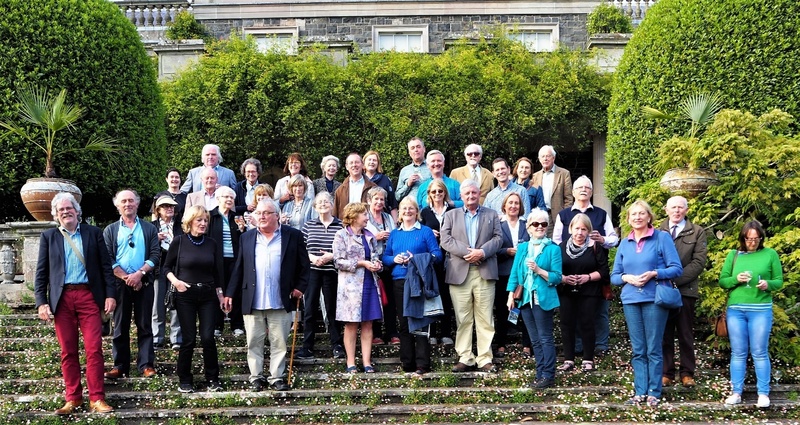 Activities include trips to buildings of architectural interest; participation in the annual garden party and an annual Christmas party at Birr Castle. In 2015/2016 the Chapter was proud to support and contribute to the Famous and Notables of Birr (FAN) Trail. This resulted in the installation of 25 Blue Plaques around the town commemorating distinguished visitors and former residents including Dame Nelly Melba, Opera Singer; Bernadette O’Farrell, Hollywood actress and Eamon Bulfin revolutionary and diplomat. In 2018 it is planned to add two further plaques. Brochures and flyers have been produced and can be found on Visit Offaly website, Visit Offaly Facebook, and Visit Offaly Twitter. New members from the Birr/Midlands area are invited to contact us when they join so that they can be included in invitations to local activities.